That inspiring quote from Jesse Davidson remains at the core of Jesse’s Journey’s goal to defeat Duchenne muscular dystrophy. Because of the generosity of our donors, families, volunteers and supporters, researchers are able to continue working together. They are collaborating on new visions, testing new theories, and are coming closer to finding the answers that are needed to effectively treat and, one day, cure Duchenne. Significant progress is being made, and we now hear stories from our families about their son reaching a milestone in life that only a decade ago was unimaginable. 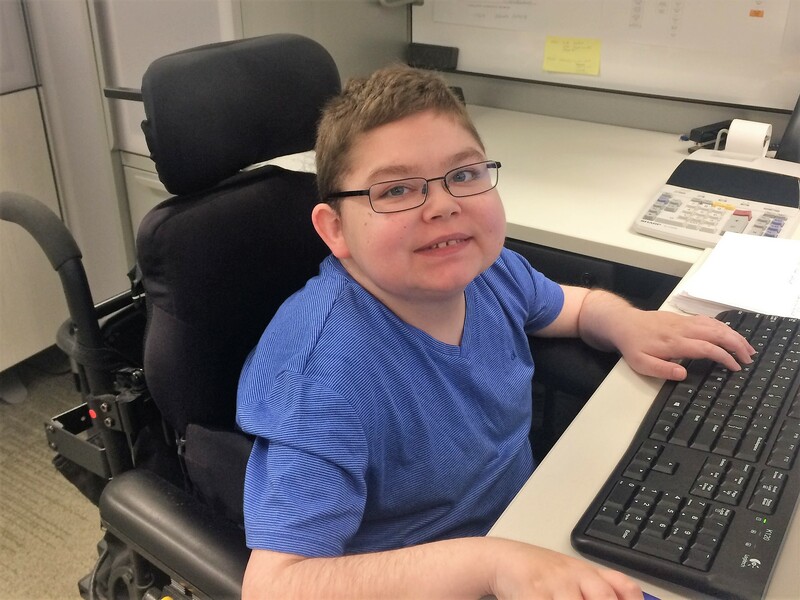 When we learned in December 2016 that 18 year old Aidan Cappelli successfully obtained his driver’s license, we were ecstatic – someone with Duchenne driving a car is something we don’t hear every day. And hearing it gives us a tremendous sense of hope. These significant accomplishments often come with their own challenges. Errict finds that he is not able to complete every task, and special accommodation needs to be made for him. “On my first day I was introduced to our Health & Safety advisor who immediately made sure I was aware of the fire exits. He has also made adjustments to our fire safety plan to include arrangements specific to my needs during my internship.” With these accommodations in place, Errict can put his skills to use and make a significant contribution to the company. We are so proud of Aidan and Errict, and all the boys and young men who face Duchenne every day and find ways to accomplish their goals. And we are grateful to you, our donors, volunteers, and supporters – your generous support of research is what makes stories like Errict’s and Aidan’s possible. Thank you.